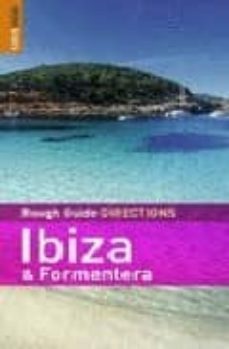 Slim, stylish and pocketable, "Rough Guide Directions" is the complete authoritative and user-friendly guide to Ibiza and Formentara. Thoroughly researched, it covers virtually every beach in the island, including hidden coves only accessible by foot, and picks out the finest of Formentara's unspoilt sweeping sandy expanses. There's opinionated advice about Ibiza's best bars, which clubs to hit and which dance floors to dodge, as well as suggestions on where to dine, from hip fusion restaurants to economical backstreet tapas bars.All accommodation options, from boutique-chic hotels in Ibiza Town to the best value budget hostels are covered, and there's plenty of attention devoted to Ibiza's greatest historical sights, including the medieval walled city of Dalt Vila. The guide also features a language section, menu reader and chronology of history. Accurate maps will help you plan your route whilst the essentials section offers practical advice on getting around, money, food and drink, festivals and all the information you'll need on the ground. Make the most of your time with "Rough Guide Directions Formentara & Ibizia".